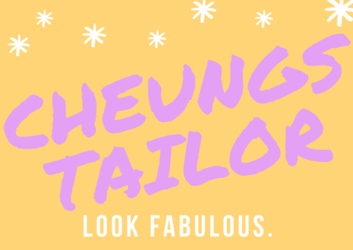 Say “I do” to Cheung’s Tailor. Our seamstress will alter your gown and guarantee it will look as beautiful as the bride on her special day! Whether you have a long flowing classic senior prom dress or a sassy semi-formal dress. Bring your endless creativity and we can make it look how you envisioned! Fit is the most important part of looking good in your suit & tux. For business, weddings and casual wear, all suits off the rack require a few alterations. Minne’snow’ta gets a little cooler if your zippers don’t work! Zippers for jackets, sweaters, dresses, pants you name it. We’ll get you zipped up! We salute all the finest members and families of the United States Military. We are honored to service your military uniforms, since 1991! Hemming and seam repair, re-sizing, re-styling, costumes, buttons, patching, re-lining, you name it…check out our services page!